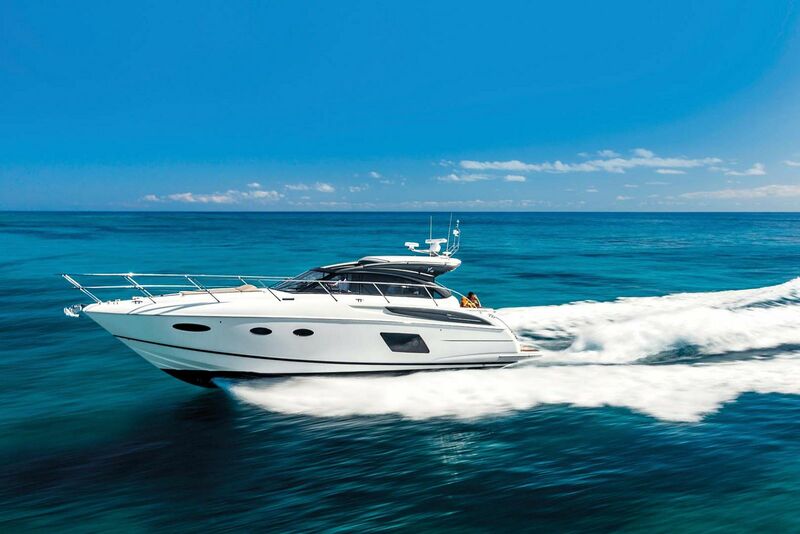 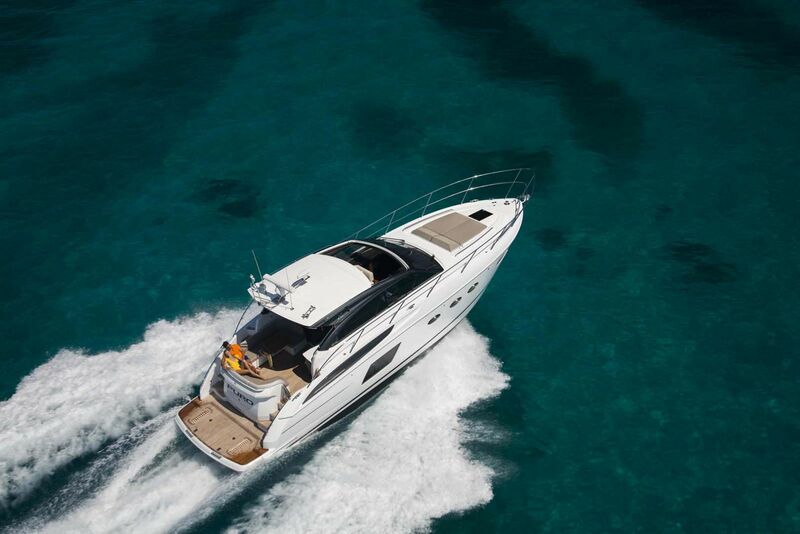 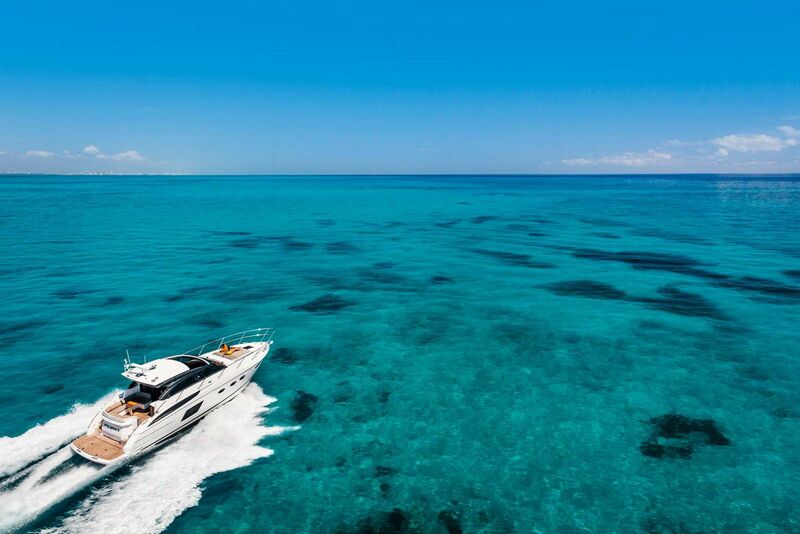 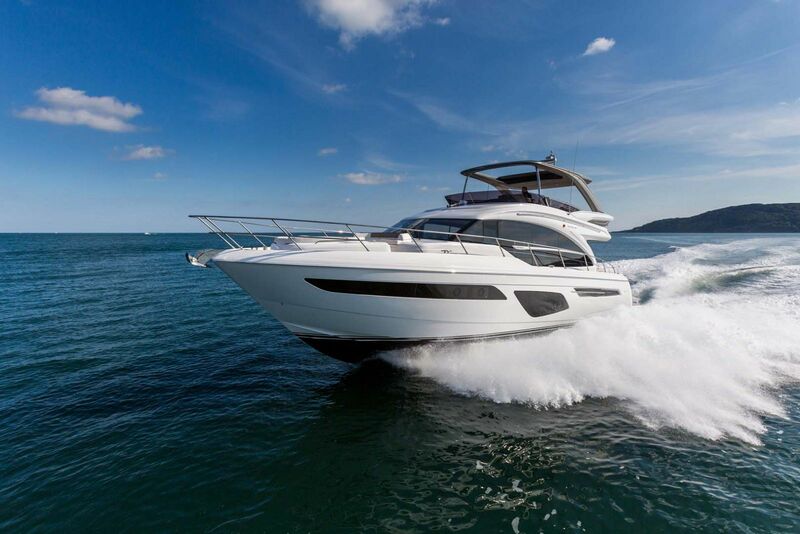 Driving the Princess Yachts V48 is nothing short of exhilirating. 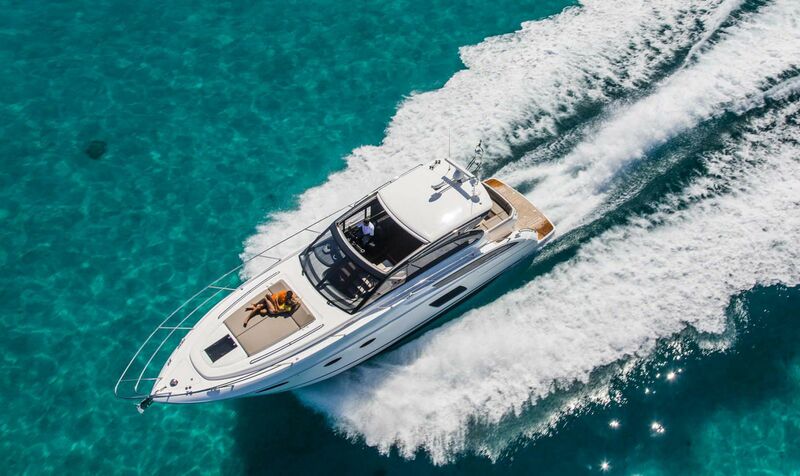 Twin Volvo IPS 600's propel you to 34 knots that, when the retractable sunroof is open, makes you feel like you're in a luxury race car. 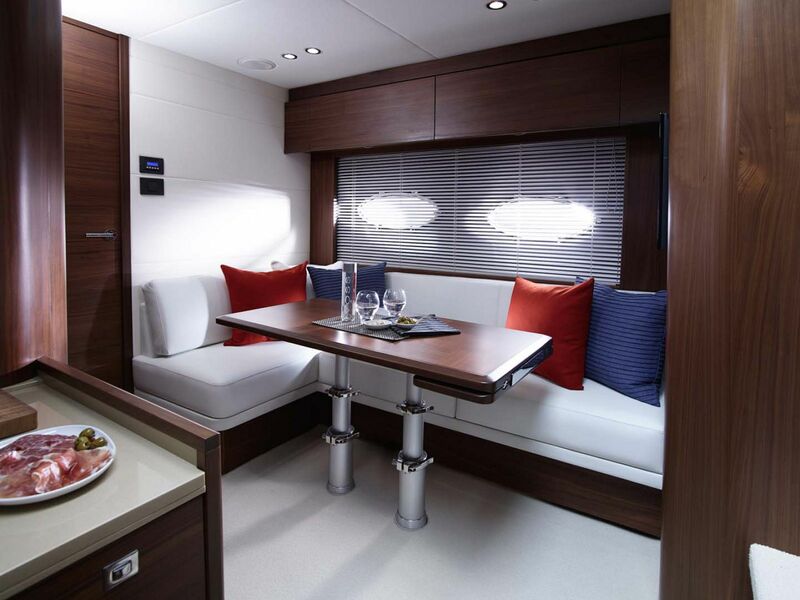 The salon on-deck is fully enclosed, yet feels extremely light and airy thanks to the large, panoramic windows and the hydraulic sliding roof. 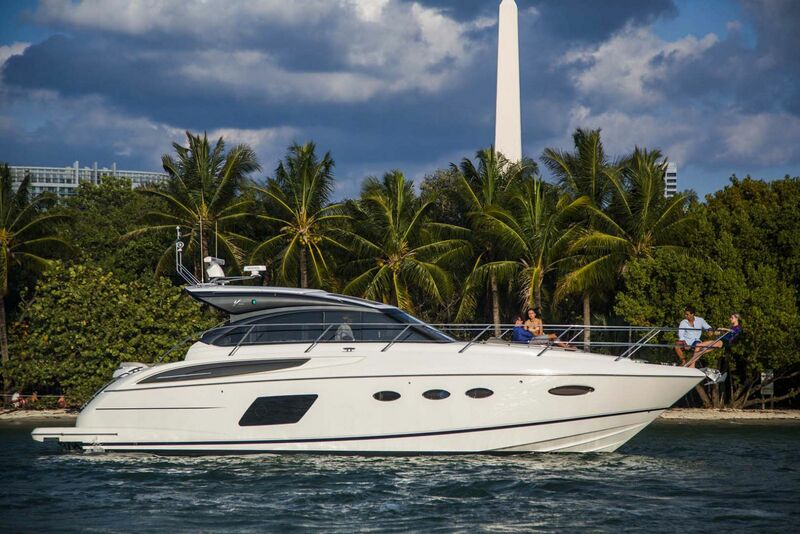 The deep-V hull provides a stable, comfortable ride while underway and all guests on board will enjoy the amenities and features both inside and out. 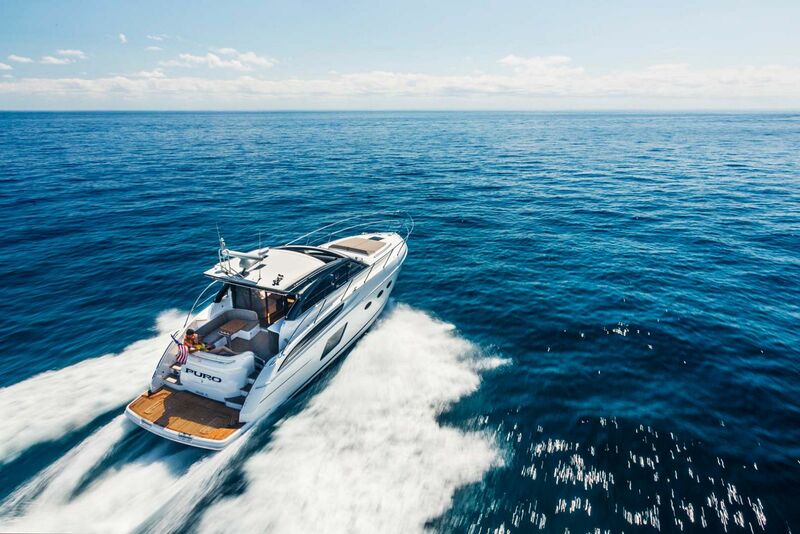 The teak swim platform at transom is perfect for either carrying a tender or using it as a launch point for water sports like scuba diving or paddleboarding. 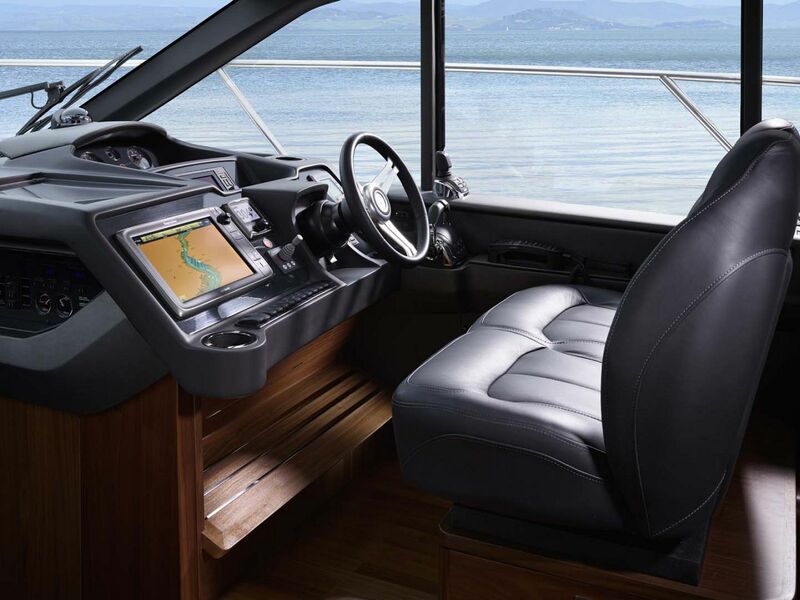 It also makes a unique spot to enjoy the view and the water at the same time by just sitting off of the back. Two sets of stairs lead you from the swim platform to the aft cockpit which features a J-shaped couch and table for relaxing in the sun or dining al fresca. 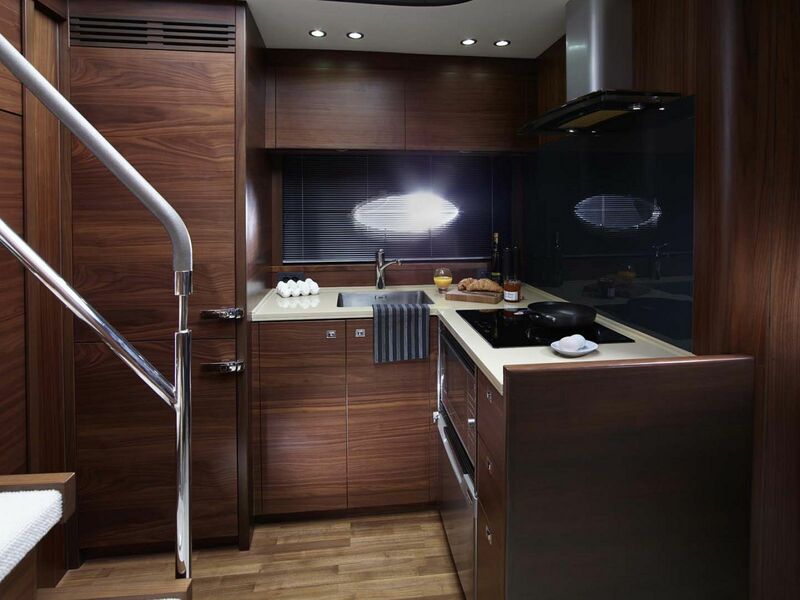 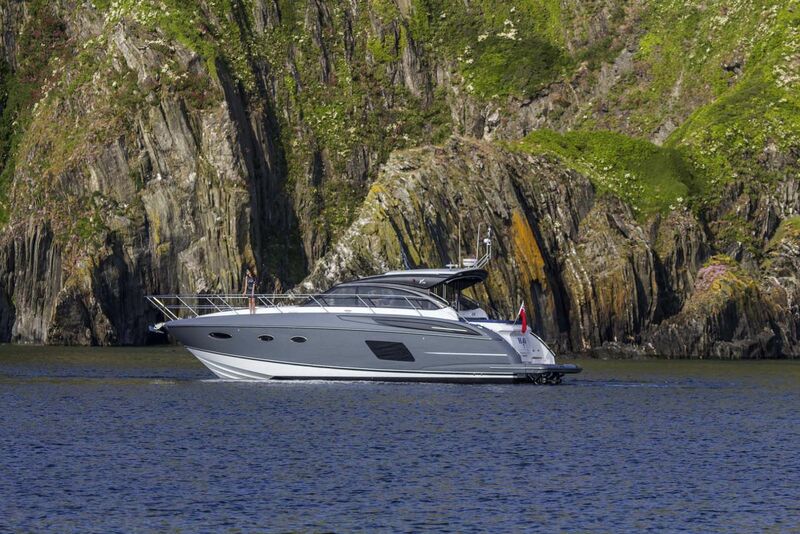 The accommodation truly makes this boat stand out from others in its class. 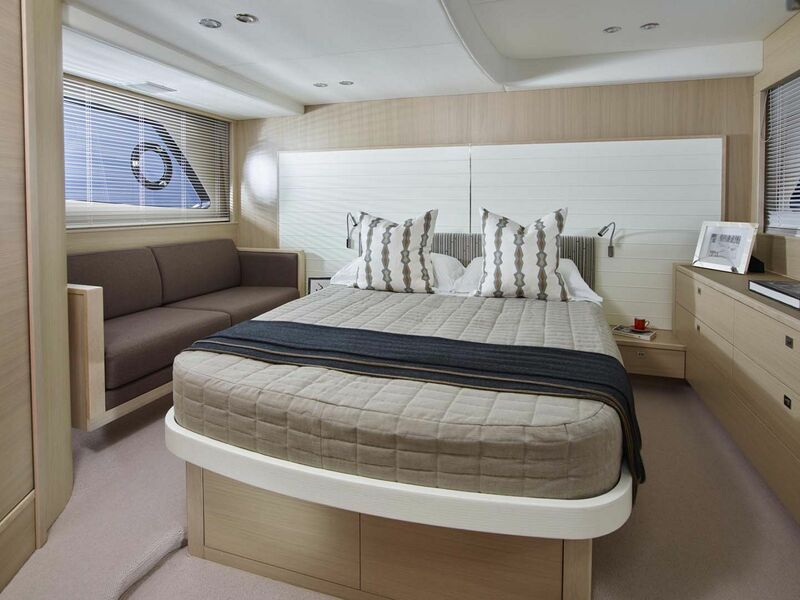 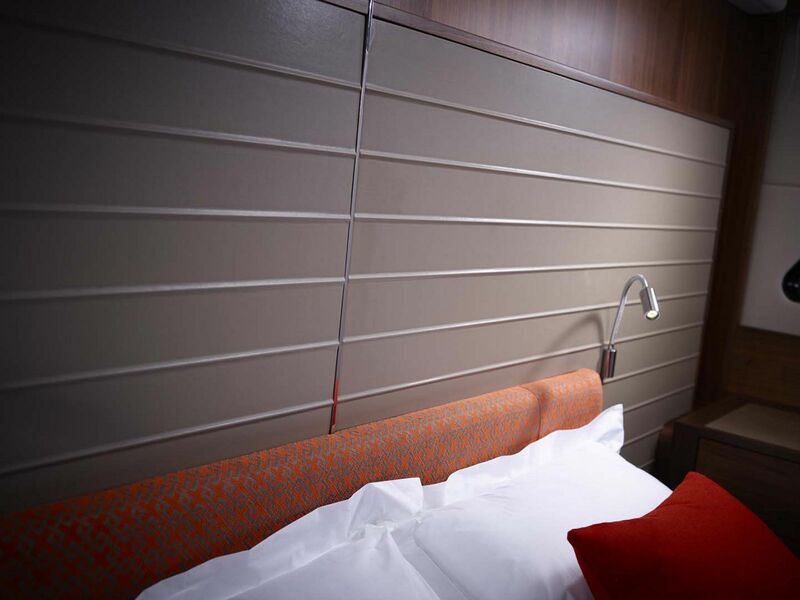 The master cabin offers full standing headroom, an ensuite and a pair of huge windows on the water which afford wonderful views – this is more like a funky hotel suite! 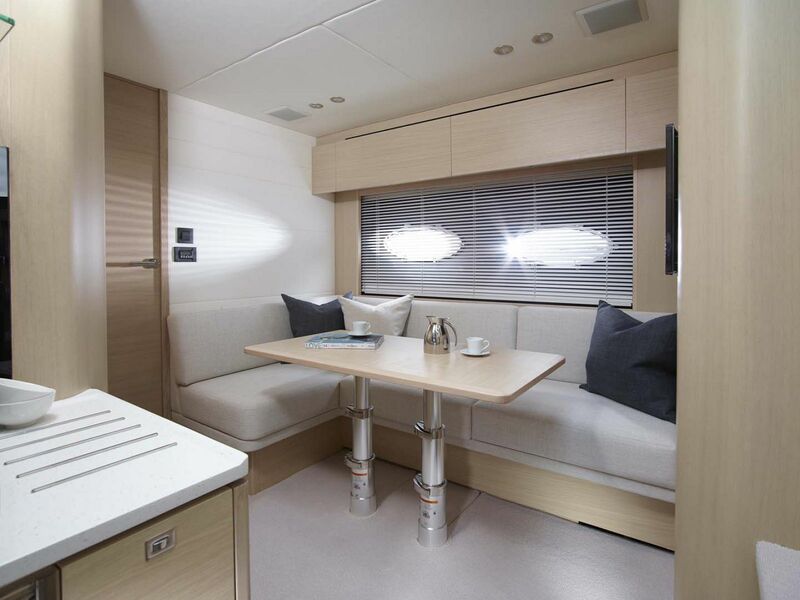 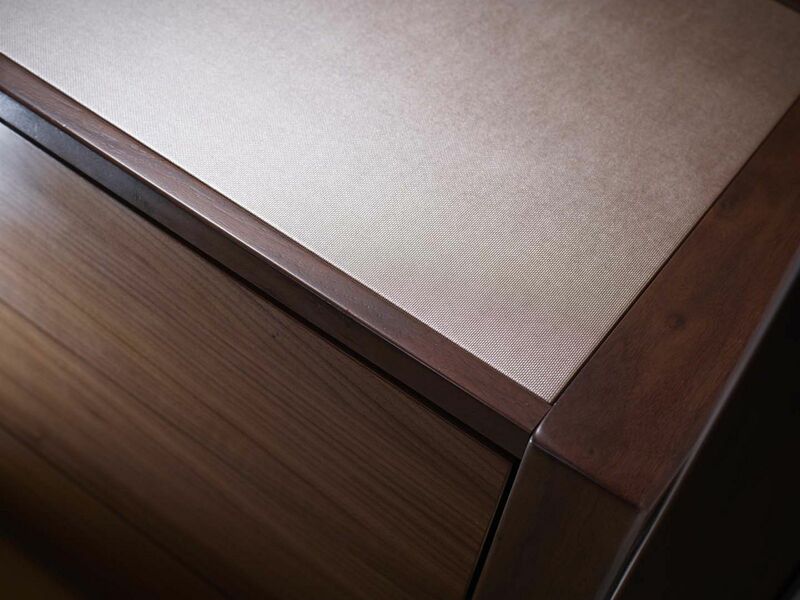 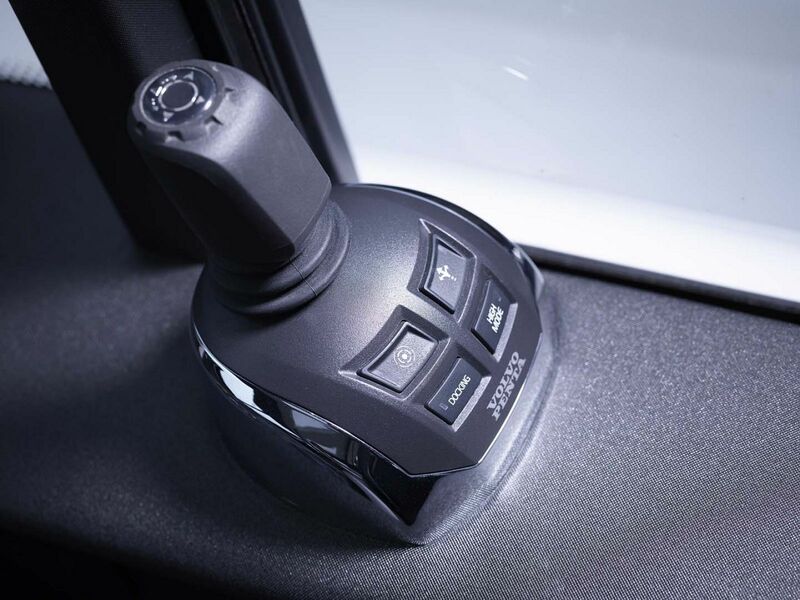 The forward cabin also has some cool touches with standard scissor-action berths and oval-shaped ports which allow for plenty of natural light to pour in. 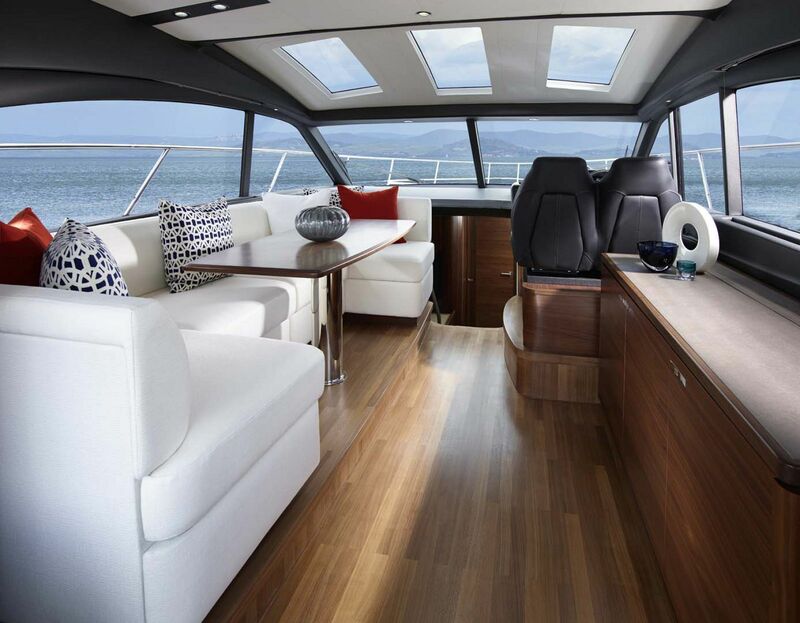 The V48 Deck version offers both a great outdoor experience with plenty of space on the bow to stretch out on those long sunny days. 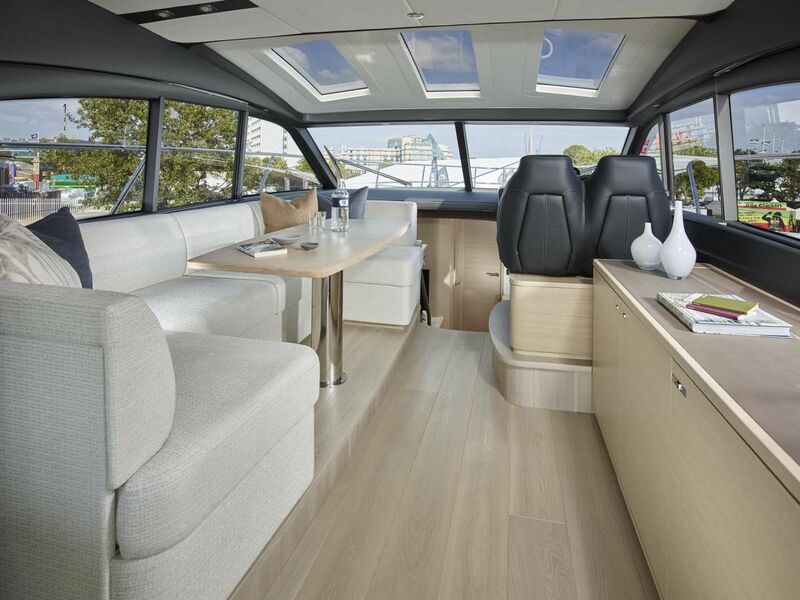 but also a spacious upper saloon with a GRP hardtop which means there is somewhere comfortable to relax should the weather turn. 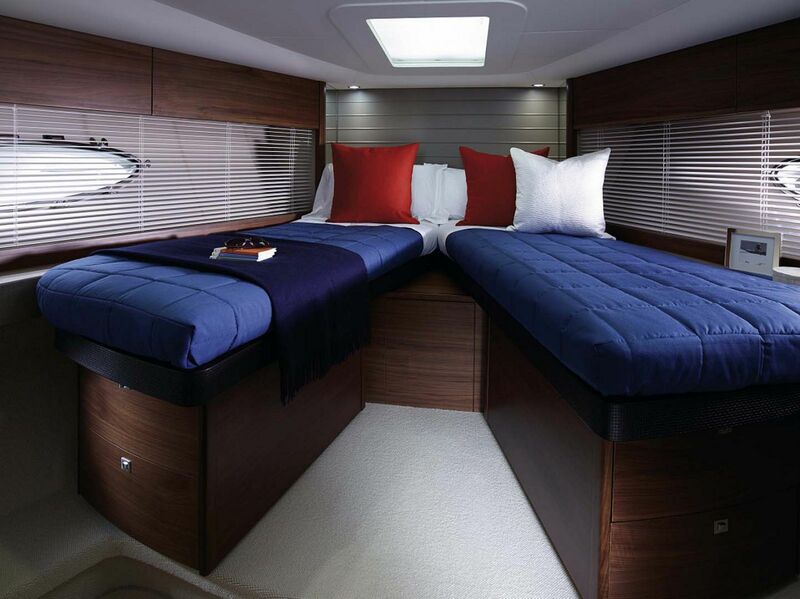 There is lots of storage space both in the L-shaped cockpit area and the saloon. 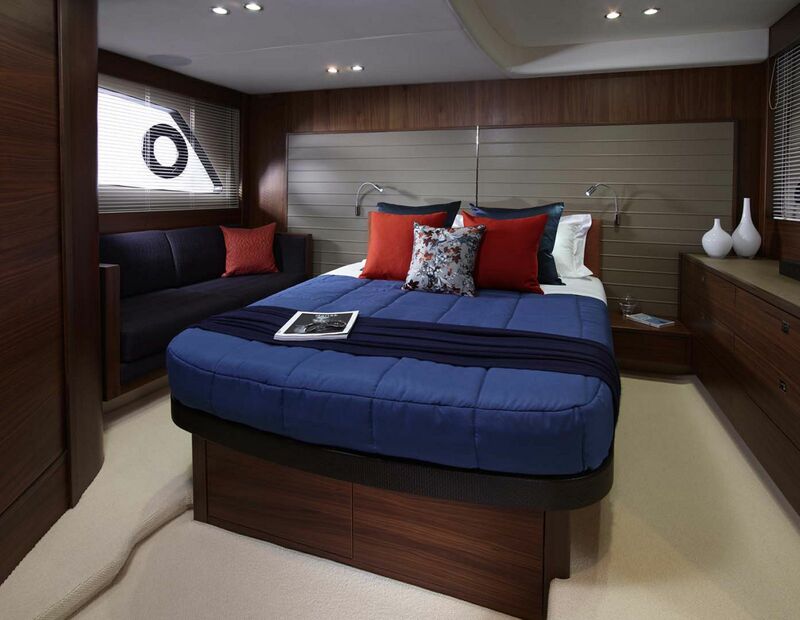 This entire space can be covered in canvas if necessary. 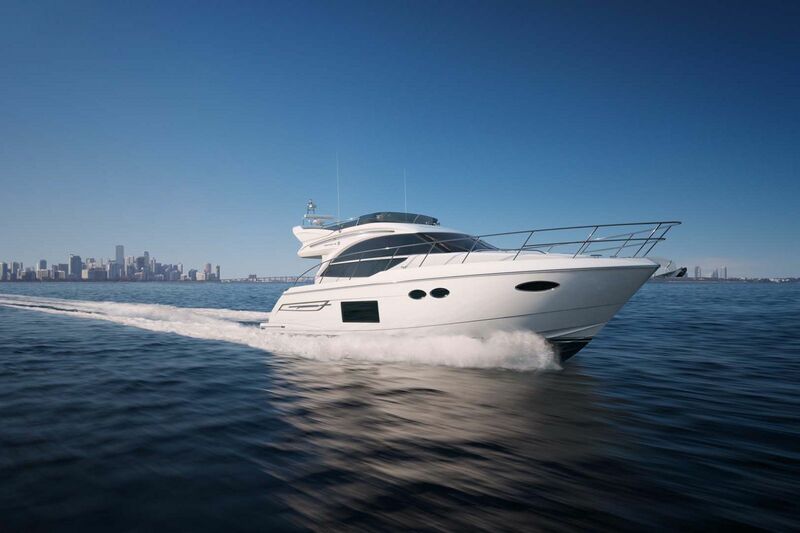 If you would like to learn more about the Princess Yachts V48, please contact your SI Yachts Sales Professional today.